Autodesk is one of the world’s leading digital design and content companies providing the tools needs to digital design data and content. 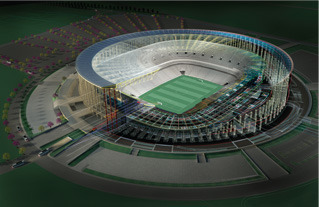 Autodesk is a world leader in 3D design software. Customers across the manufacturing, architecture, building, construction, and media and entertainment industries — including the last 17 Academy Award winners for Best Visual Effects — use Autodesk software to design, visualize and simulate their ideas. Autodesk software server’s customers in industries where design is critical to success building, manufacturing, infrastructure, digital media & location services. These features are best used for mechanical engineering design, assembly design, data management, product, and motion simulation, routed systems, finite element analysis, mold design, and enhanced CAD productivity. Autodesk provides a variety of support offerings available to Autodesk Subscription customers to help you implement Autodesk® solutions faster, maximize productivity, and minimize downtime. Autodesk’s flexible support offerings are designed to meet your support needs, help enhance your business performance, and suit your budget. ITCG Solutions Pvt. Ltd., is a professional Software sales & Support company providing high-end IT Infrastructure solutions. As an Infrastructure consultant, value added resellers and network integrators, ITCG Solutions Pvt. Ltd. delivers enterprise wide solutions based on individual customer needs. ITCG Solutions Pvt. Ltd. customers not only receive the highest level of technical expertise in all aspects their supply and service but they also receive a 100% satisfaction guarantee on all products, installation training and support.